New Payroll Tax Tables – AccountRight Standard or Plus version 19 with MYOB Cover, you’ll have a choice at June 30 between upgrading to the new generation of AccountRight software, or simply installing new payroll tax tables. Look for the notice within the software, or register for notifications via the Help then Updates in your MYOB. ATO Tax Tables – ATO website says the new tables will be available Monday 25 June. You can download, save a copy or get printed copies from ATO offices, or some newsagents. No MYOB Cover? 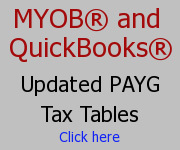 – You won’t be able to purchase payroll tax tables separately from MYOB. However third party tables are available, which I have tested against the ATO tables and work perfectly for me and several of our clients. To get more details and purchase for $58 – find out HERE. Premier Upgrade Delay – The software upgrade to the new generation of AccountRight Premier has been delayed again, due 2013. Next MYOB Service Pack – If you have already upgraded to the new generation of AccountRight Standard or Plus 2011, the new service pack 4 is out now, and deals with a few more bugs and speed improvements. M-Powered Services – M-Powered Services are still not available in the upgrade. Goodnews is that the service packs have increased the speed of AccountRight significantly, and dealt with many of the more bugs as well. Badnews is that the speed is still slower than AccountRight version 19 – and indeed, because this is an SQL product, the new generation of AccountRight will probably always run a bit slower than version 19 used to. Speed Improvements – Depends primarily on the processing speed and RAM on your computer, but also on the size of your company file and how many transactions you record daily. If you’re using an old computer, I’d definitely give the upgrade a miss. If you’re using a relatively new computer with some grunt and you already subscribe to MYOB Cover, we advise you install the new software and test speed using the Clearwater demonstration file. Enter a couple of transactions, and if this works OK, upgrade your company file, and try the speed with a few transactions in your own file. If the speed is good, then continue. If you’re unhappy with the speed, even if you recorded a few transactions, close the upgrade and return to AccountRight version 19. If you require assistance, give us a call! 0407 361 596 Aust (overseas drop 0 and add +61). We are here to help! 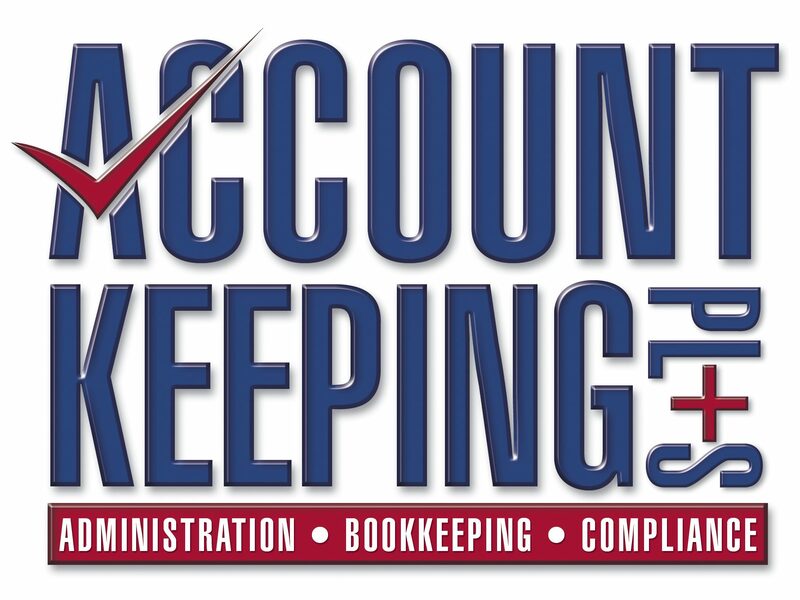 Previous Year End Business Tax Tips – Act Now!